It’s time for a Year in Review post again. I can hardly believe I’m here again, it doesn’t seem that long ago that I wrote about my goals for 2018. 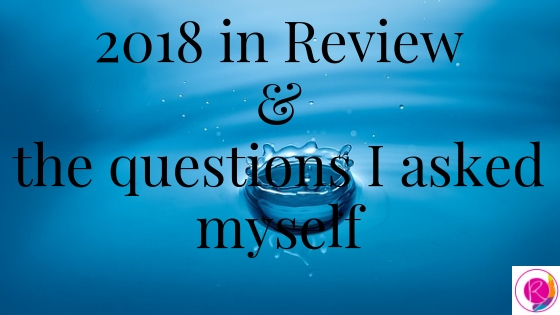 For this post, I have used questions to reflect on the year that was. These questions are inspired by my Passion Planner diary which I used diligently for the first quarter only, then sporadically for the rest of the year. Next year, I’ve decided to go with a simple to-do list connected to my big goals. I spent much of 2018 sleep deprived and overwhelmed – a new baby will do that to you. Honestly, I don’t remember too much of the first half of 2018, it all becomes clearer after August:). My word for 2018 was Commit and I’d set these ambitious goals last year. This is how I tracked. Out of 12 months of the year, I exceeded my target income four times due to some big projects. The rest of the months came close but not quite. After working in one specific niche which I’d been eyeing for a while, I’ve decided not to pursue it in 2019 as it’s not a great fit for me. Overall, I tripled my income in 2018 (Jan-Dec) compared to 2017, where I only worked for half the year due to poor health. I ticked off quite a few publications on my bucket list for feature writing. These included Sunday Life, SBS Life, My Career SMH and Kidspot. I was chuffed to get published twice in Sunday Life in the first three months. In fact, I had three commissions from different editors in one week! Unfortunately, I never got around to pitching any food or travel publications as I’d planned. Instead, I’ve decided to focus on writing for parenting, health and wellness and business niches where my passion lies. You can read the articles I wrote in 2018. I stuck to a good schedule until May having brainstormed a list of topics. Halfway through the year, I decided on a brand refresh and build a new website which about 5 months. Throw in a nightmarish overseas holiday and more sleep deprivation and this goal slipped down on my priorities list. Next year, I’m planning to blog once a month on a mix of personal and copywriting topics. Quality over quantity! I’d enrolled in a few online courses which I hoped to finish quickly but again life and sleep deprivation got in the way! However, I did complete an in-person Profile Writing Course from the Australian Writers’ Centre which I really enjoyed. I’ll be tackling the rest of these unfinished courses and not enrolling in any new ones in 2019. I smashed this one out of the park and ended the year with attendance at 8 events. I had planned to attend only 4 events in 2018. 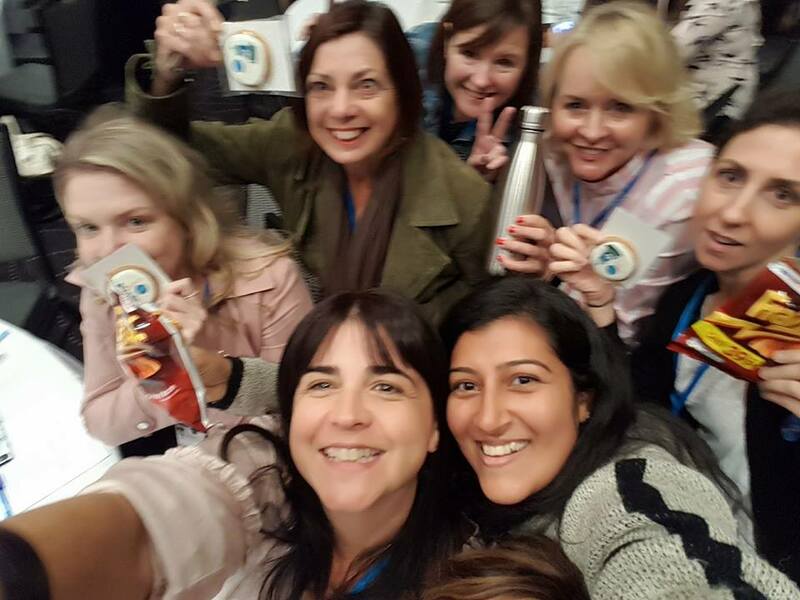 These networking events gave me a break from my daily routine and kept me connected to the writing world. I also picked up a couple of clients so that was a bonus. These events rejuvenated me and kept me going. The goal for my passion project was to write and publish two stories every month. To help me do this, I hired a fellow writer and a social media manager to get the work done quicker. We published 14 stories and grew all our social media followers. 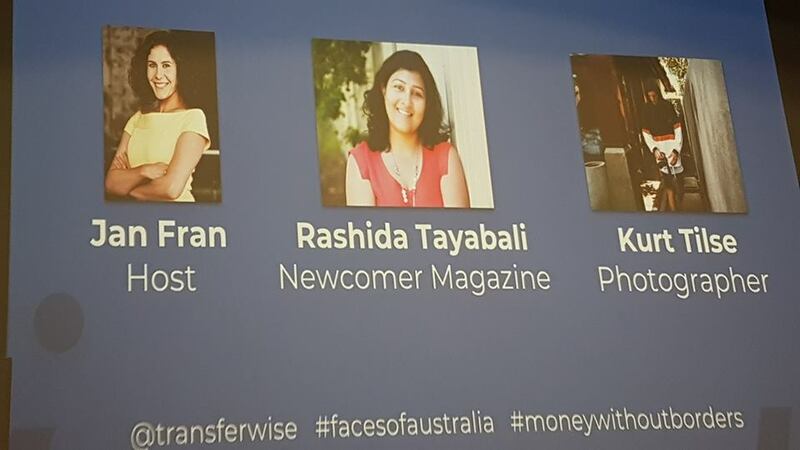 My Newcomer Blog magazine also delivered an amazing opportunity to work with TransferWise and their campaign to profile the ‘Faces of Australia‘. This campaign highlights successful immigrants who are making a real difference in Australia to share their personal and business stories. I interviewed 10 amazing individuals and was interviewed by Jan Fran from SBS at the event. Currently, my work is on display in the International Towers in Barangaroo until 31 January 2019. This project is the absolute highlight of my year and I loved every second of it! This also confirms the power of a network in providing work opportunities. It allowed me to tell stories which I’m hoping to do more of in 2019. I’ve not yet reached The End but I’m a lot further in than I was at the beginning of the year. I also worked furiously to send in a 50-page sample to a writing competition. While I wasn’t shortlisted, it’s given me the confidence to keep going. 1. What was the most memorable part of my year? It would have to be two things: working on the TransferWise Faces of Australia campaign and meeting my fellow writers at CopyCon in Sydney. These events cemented my belief that I’m in the right business and my passion is storytelling for business. 2. What were the biggest lessons I learned in 2018? The toughest lesson I learned in 2018 was just how damn hard it is to write after having a baby. In truth, I should have taken it easy, not gone back to work when bub was just 3 months old. But, I was determined to build a strong business this year so I persevered through all the illnesses, sleep deprivation, overwhelm and life’s routines. Looking back I would probably do the same all over again! The second lesson I learned was it was fine if I didn’t feel like cooking fresh meals or if the house looked messy. No one pointed it out and the kids were happy with fish fingers or cheese toast when I didn’t feel like cooking. The third lesson I learned was no matter how organised and together I tried to be, overwhelm hit me like a sledgehammer most days. The mind-numbing routine of feeding, cleaning, settling a baby often got to me. I finally recognised that I needed help. 3. Am I happy with how I spent my time? I was a shocker this year with the amount of time I spent on my phone. I’ve tried to limit my time since including switching off all social media when working on a client project. The notifications can wait but the time I have won’t especially as I don’t have the luxury of uninterrupted work time. I’m trying to spend more time reading books which happily I did more of this year. 4. How am I different this year compared to last year? I’ve realised I need to stop comparing myself to other writers and do my own thing – not going through their websites or Insta feeds and making myself feel inadequate. I’ve realised that asking for help and not trying to do it all is not a sign of weakness. 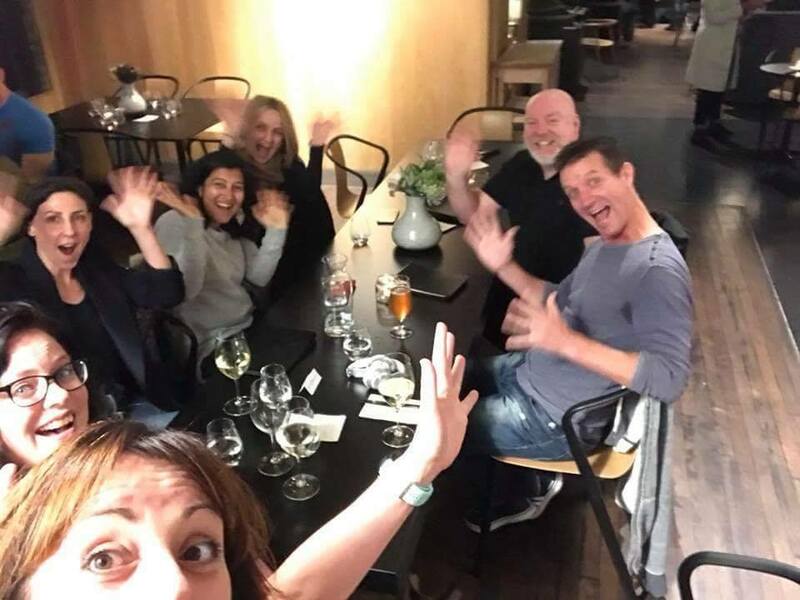 In fact, it’s deciding consciously to focus my time and energy on the things that really matter is what’s important – work, my health and family. I’ve made more time to exercise, go for massages and spend time with friends than I did in 2017. Exercise has been a huge factor in my feeling well and energised. I’ve also tried to be a good friend and be there for the people I care for. I’ve stopped worrying and wanting to manage things that are out of my control. Let people take responsibility for their own actions without wanting to step in and ‘fix’ things. 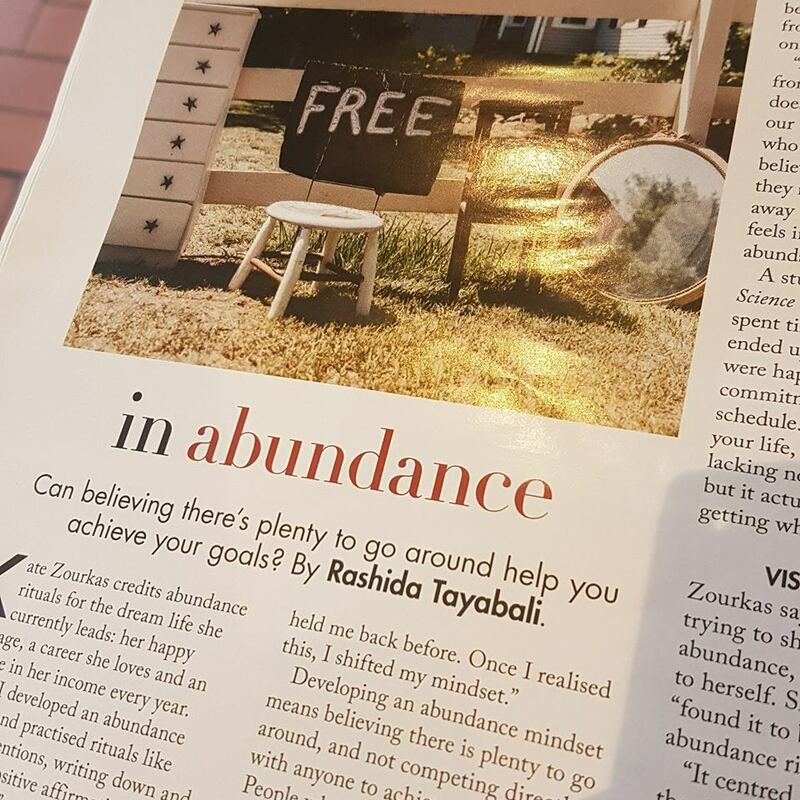 I’ve also taken charge of my finances after reading the Barefoot Investor and implementing Profit First with a combination of regular Super contributions, a Splurge account and building a share portfolio. 5. Who or what am I grateful for in 2018? I’m thankful that my daughter who’s now 1.5 has finally settled down and is sleeping through the night in her own bed. Nothing tops this one! 6. Overall, how do I feel about 2018? One word – overwhelmed. I set too many goals and overlooked the fact I’d have a small human who’d demand every last piece of my emotional and physical strength. There were a couple of bright spots throughout this year but on the whole, I’m glad it’s over. I’m looking forward to 2019 and there’ll be a special word I’ve chosen for the next year. For now, this is my year in review. I would love to know how yours went. Tell me in the comments below.